The last story, The Crusade, is missing episodes two and four. We shall be skipping that for obvious reasons. 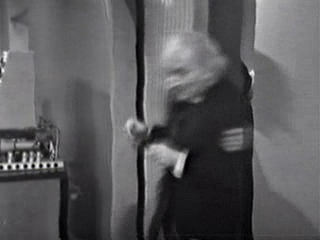 The episode begins with The Doctor and his companions frozen while the TARDIS lands. Ian makes note that they’re wearing their normal clothes, and not the 13th century garb from The Crusade. 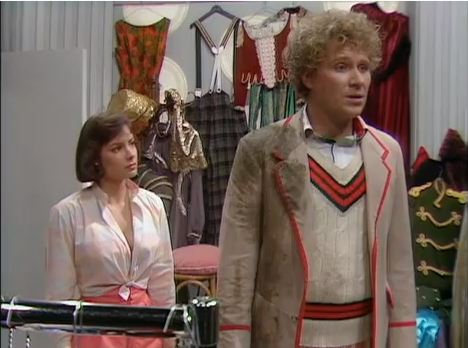 The Doctor seems rather non-plussed about it, but why? 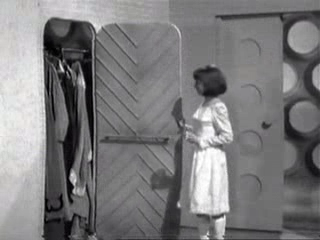 Vicki has a look in the TARDIS wardrobe. Vicki breaks a glass, then the film reverses and it rejoins, water and all! They’re walking on dust, but not leaving foot prints. I don’t remember this story at all, so it looks like I’m live tweeting it like I did the last one. I love that they hide from the people for no reason, and then Vicki goes to sneeze. Fortunately Barbara got there in time! Oh god! She sneezed, but the people didn’t hear! Phew! “Those two men must’ve been guards.” Why, Ian? Why would they be guards? Perhaps they’re curators of said museum? Perhaps they are ticket agents? Perhaps they are guides? Perhaps they are in charge of payroll? MORE PEOPLE! GOTTA HIDE! THEY DIDN’T PAY ADMISSION! They found the TARDIS in the museum! Oh my! And now they’ve found themselves. 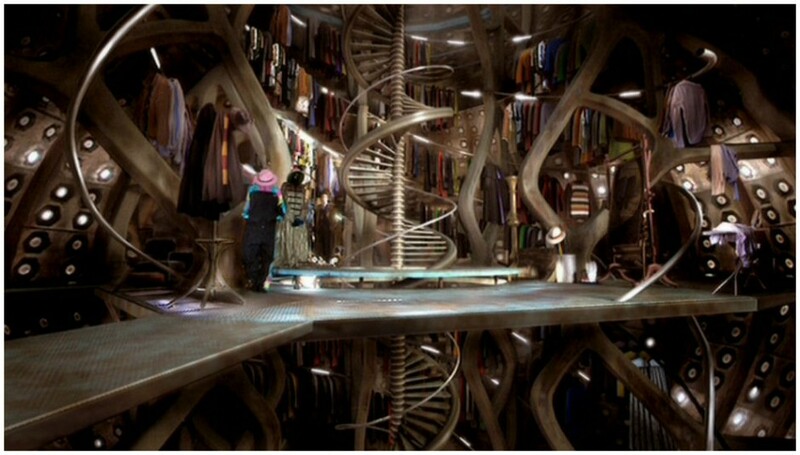 Synopsis: The Doctor and his companions arrive on a planet with a museum. In said museum they find another TARDIS and themselves in glass cases. They are peaking at their future and must prevent themselves from being caught. This is kind of an interesting concept. It does go against some ideas that were presented in “Angels Take Manhattan,” but that episode won’t happen for 47 years, I can forgive them of that. I think the beginning was done quite cheesy, but it got interesting in the last half of episode one… now on to episode two. Why do they think it’s strange for anyone to visit this planet. It houses a museum, it’s a tourist destination. That was the best kidnapping, I’ve ever seen. Go rebels! OMG! 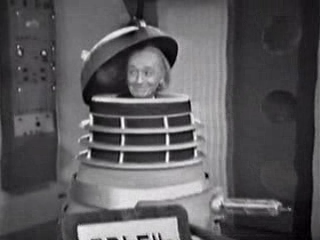 The Doctor pleased with himself by fooling the rebels and hiding in a Dalek shell is AMAZING! Ian, leaving a trail of thread is dumb. D-U-M dumb. I love the interaction between the rebels and the Morok. It’s almost as if the Morok think they’re naughty boys but wish they were able to act like that. Why would a museum with very little tourism (something they addressed) need soldiers? “We hate the Moroks, we want them dead. You can see we’re nothing like them!” Yes, the Moroks wear white, we wear black. Night and day. Tee hee hee, the rebels are wearing Converse. These people get captured pretty quickly. This is actually an interesting episode. They question whether destiny or our actions determine our future. The Doctor and his companions are able to find a way to change their predetermined future. The episode then ends with the Daleks saying, “Our greatest enemies have left the planet Zeros” and that they will pursue them through time and space.